The misconceptions are there for freelance writers, just as they are for anyone in any other profession. Sometimes we’re expected to look a certain way, speak a certain way, act a certain way…you get the point. People are always surprised to learn that I’m a writer. I hear it in their voices and see it on their faces. No way you can earn a living as a writer. Oh, that must be an interesting HOBBY. You’re a ghostwriter so you must write about ghosts, right? Does that mean you actually enjoy writing? Who enjoys writing? Why would people pay you to write? Anyone can do that. Glasses, booze, notebook, cigarettes, and a cat. These are a few of the most common misconception about freelance writers. You must wear glasses – big ones, too. You must be a smoker and a drinker. Maybe an alcoholic. Don’t forget the cat or ton of cats. This is the picture of misconceptions people have in their heads about writers. But I must admit that I fit some of those: I have two cats, wear glasses (and I love the big ones), and carry notebooks and pens with me everywhere I go. I did quit smoking almost 7 years ago and I don’t drink. Writers live a glamorous life. Mhhmm. So glamorous. Martinis with editors. Living in the city. Hanging out at the local cafe. I’m Carrie Bradshaw, right? RIGHT? Nope. I live in a tiny town in Maine and write from my home office that doubles as my bedroom. My husband is planning on creating an office for me in the basement and I couldn’t be more excited! I wear my pajamas all day most of the time. I don’t go elsewhere to write; I prefer to write from home. I get an assignment from an editor or a gig from a client and I write. Then I rewrite if necessary. Then I wait to get paid. Glamorous? No, but I do love my job. Speaking of job, the next common misconception about writers is that being a writer isn’t a job. What the what? I make money writing and working from home. I think it’s the working from home and being self-employed is what makes people say writing isn’t a job. We don’t get up and go to a building where we work every day. Our commute is walking down the hallway. But it’s a job! We work our asses off. We answer the phone, do the bookkeeping, answer emails, hold Skype meetings, market ourselves, work on our websites, and write. It’s a small business like any other. Some writers do have an office outside their homes that they commute to. Writing isn’t a job? Pshaw. Writers might be more prone to workaholism because our work is always accessible. Ideas at 1am? Write them down! Client across the world? Meeting at 4am! Maybe this isn’t a misconception. Writing isn’t a job. It’s a business. Boom. This one gets my blood boiling. It’s just not true. Many of my clients hire me to write for them because they can’t write. They just aren’t good at it. The words don’t flow. Many people hate writing. And you don’t just have to be a good writer. There’s more to it than just the writing itself, and the writing itself has to be interesting, entertaining, helpful, inspiring, and educational. It has to fit the readers’ needs. It has to fit the publication. It has to keep the reader interested from beginning to end. You have to meet deadlines, be a hard worker, persevere, be detail-oriented, and have great discipline. Not everyone is cut out to be a writer. Sure, freelance writing can be difficult to break into, but there are freelance writers out there who make 6 and 7 digits. I’m not just talking about Stephen King here, even though I’m a huge fan and am pretty sure he makes more than 7 digits. 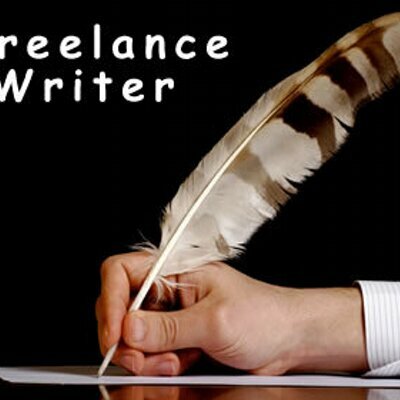 Regular freelance writers are making a good living writing, not starving in a tiny apartment with no electricity. And you don’t have to have your book turned into a movie to make the big bucks. I’ll get back to my cats, notebooks, booze, glamorous life, and non-job as a writer. With a candle for light.